James Robert Sneed, age 77, of Tunnel Hill, Georgia, departed this life Friday morning, April 20, 2018 surrounded by his loving family. Robert was born Dec. 28, 1940 in Murphy, N.C., a son of the late William Phares and Edna Maggie Kephart Sneed. He was also preceded in death by his brothers, Vernon Sneed and Clyde Sneed and sisters, Ruby Dockery, Dora Cantrell, Lucy Davis and Grace Goforth. 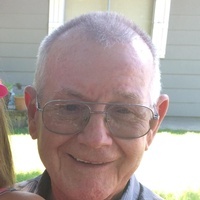 He was retired from Burlington Industries and was a member of Pine Hill Baptist Church in Catoosa County, Ga.
Robert was a wonderful banjo player, loved hiking and making a garden. He never met a stranger and loved making people laugh. He loved life, loved God and loved his family. His family was his life. He is survived by his devoted wife of fifty-seven years, Martha Bunch Sneed of the residence; daughters and son-in-law, Regina and Craig Shaver, Rhonda Lee Hall; son and daughter-in-law, Tracy and Cheryl Sneed all of Tunnel Hill; brothers and sisters-in-law, William and Mary Sneed, Jr. of Dalton, Otis and Glenda Sneed of Murphy, N.C.; grandchildren, Heather and Chris Humble, Craig and Jessi Shaver, Haley and Justin Walraven, Brett Sneed and Kristin Wood, Logan Sneed and Brylee Hall; great-grandchildren, Chase Humble, Camryn Humble, Gracie Shaver, Renly Pass and Jasper Walraven; and several nieces, nephews, brothers-in-law and sisters-in-law. Services to celebrate the life of James Robert Sneed will be held Sunday, April 22, at 2 p.m. at Ponders Melrose Chapel with Tracy Sneed and Reverend Ed Parsons officiating. He will be laid to rest at the Dunagan Cemetery in Rocky Face, Georgia, with Craig Shaver, Chris Humble, Chase Humble, Brett Sneed, Logan Sneed and Spencer Smith serving as pallbearers. The family would like to give a special thanks to Hamilton Hospice and Hamilton Healthcare for the love and care they provided. In lieu of flowers the family request that donations be made to the American Cancer Society, American Heart Association or to your favorite charity. The family will receive friends at Ponders Melrose Chapel after 11 a.m. Sunday until the service hour.